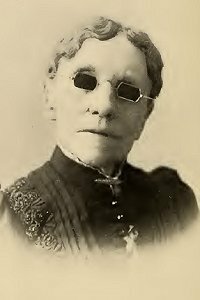 Fanny Crosby, 1873. My friend, Mrs. Joseph F. Knapp, composed a melody and played it over to me two or three times on the piano. She then asked what it said. I replied, Blessed assurance, Jesus is mine! This hymn was sung in the Academy Award winning movies Places in the Heart (1984) & Trip to Bountiful (1985). Based on the number of hymnals in which it appears (over 850), this song is Fanny’s most popular work. Assurance Phoebe P. Knapp (🔊 pdf nwc).